NORTH BAY, Ont. – Centre Matthew Struthers and three other members of the North Bay Battalion have been named in the final rankings issued Monday by the National Hockey League’s central scouting department in advance of the 2018 NHL Draft. Struthers is No. 124, while right winger Justin Brazeau is 142nd and left winger Luke Burghardt 181st on a list of 217 North American-based skaters. Christian Propp is rated No. 11 among 31 on a list of North American-based goaltenders for the seven-round draft to be held June 22-23 at Dallas. 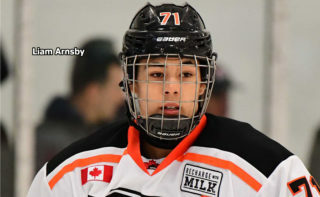 A total of 56 Ontario Hockey League skaters made the list, as well as 41 from the Western Hockey League and 30 from the Quebec Major Junior Hockey League, giving the Canadian Hockey League a total of 127. 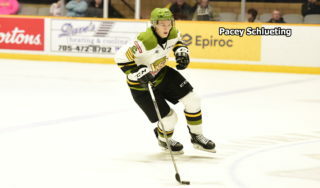 Struthers, a six-foot-two, 209-pound resident of Milton, Ont., was acquired by the Battalion in a Jan. 3 trade from the Owen Sound Attack. In 30 games with North Bay, he had 14 goals and 13 assists for 27 points. Struthers, who turned 18 on Dec. 26, had nine goals and nine assists for 18 points in 32 games with Owen Sound. 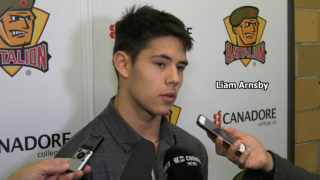 Brazeau, a native of New Liskeard, Ont., led the Battalion in goals and points with 39 goals and 36 assists for 75 points in 68 games. Having turned 20 on Feb. 2, he stands six-foot-five and weighs 221 pounds. Burghardt, five-foot-11 and 167 pounds, scored 28 goals and earned a team-leading 43 assists for 71 points in 68 games. The Bowmanville, Ont., resident, who turns 20 on May 12, was acquired in a June 27 trade from the Guelph Storm. Propp, who joined the Troops in an Oct. 22 trade from Owen Sound, posted a won-lost-extended record of 18-9-5, a 2.86 goals-against average, a .908 save percentage and one shutout in 32 appearances with North Bay. 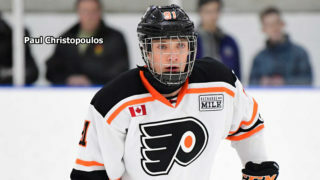 Propp, who also shared a shutout with Julian Sime, saw action in three games with the Barrie Colts early in the season. 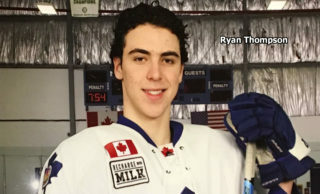 A six-foot-two, 195-pound Milton resident who turned 19 on March 27, Propp is the top-ranked of five OHL goaltenders. “Hearing the news about being on central scouting was extremely exciting,” Propp said from home. 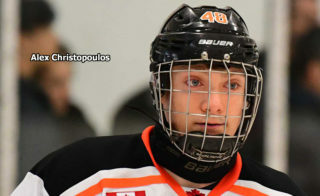 “It’s always a humbling experience when scouts at the next level take notice in what I do on the ice. I think both the team and myself were able to turn a few heads with our play last season. We showed the league that we were a determined group, and I think that allowed for guys to get noticed on an individual basis. Right winger Andrei Svechnikov of Barrie, a Russian import, is rated No. 1 on the list of skaters, while Olivier Rodrigue of the QMJHL’s Drummondville Voltigeurs is the top-ranked goaltender. The QMJHL has seven rated goaltenders and the WHL four for a CHL total of 16. The NHL’s central scouting department also released rankings for 130 international skaters and 14 international goaltenders.